Out in the Blogosphere, there is so much going on that I thought it was time I would add my humble musings about theater and the performing arts, and maybe other issues related to the arts. While I certainly feel I have some worthwhile insights, there are many great resources for opinions about theater, media, and the arts, so anyone reading this should always seek out these varied viewpoints. So from time to time I intend to comment about arts and post it here if only to clarify my own thoughts and opinions about past, current, and future issues. If you read this and find it interesting great - and if not that is fine also. I surely do not claim to have the last word about anything written here. click here for my photography biography. Having directed and also worked as a lighting designer on numerous stage musicals, and as a big fan of the Hollywood movie musical, I was pleased to see Writer/Director Damien Chazelle’s new offering, La La Land. Had he hoped to revive the Movie Musical in the new millennium, his motion picture is well on it way to that goal. I realize musicals are not for everybody, with the premise of breaking into song and dance at the high and low dramatic moments as too unrealistic for some. Not me though. The no credits opening sequence simply begins with a Cinemascope logo expanding to reveal stopped traffic on a Los Angles freeway. After panning past the stranded motorists a lively musical intro leads into a girl singing Another Day in the Sun. As she exits her vehicle others join in an exuberant song and dance all over cars choreographed by four-time Emmy nominated Mandy Moore (not the actress). What is impressive is the fluid movement during this whole musical sequence when you begin to realize that this seamless action is almost one continuous camera shot with a minimum of cuts – a tremendous undertaking accomplished by cinematographer, Linus Sangren. "Another Day in the Sun" alone is worth the price of admission. Sangren successfully uses this continuous “no-cut” camera work on another musical sequences. Also as a theatrical lighting designer myself, I appreciated the use of theatrical styled lighting, where many moments the lighting is dimmed with only a single light is focused on the actor or cross fades much as it would appear in a stage production. Justin Hurwitz provides a very listenable score and songs that should appeal to traditional musical theater fans and to a new generation of ears interwoven with traditional jazz themes. While there may not be the single hummable melody emerging from the score, Hurwitz brings a fresh take on the movie music form. Sebastian (Ryan Gosling) is a struggling traditional jazz keyboardist whose dream is to have his own club. Mia (Emma Stone) is a barista and aspiring actress who just seems to go to an endless stream of auditions. She also dreams of writing her one-woman show. After several awkward chance meetings, they finally come together in the ballad, “A Lovely Night” dancing atop a vista over Los Angeles. Sebastian has an opportunity to play in a novo-jazz fronted by former college friend Keith (John Legend) that becomes a popular hit but is keeping him apart from Mia while on tour. Mia finishes her one woman play and books a small theater to perform her work. Sebastian feels he has sold out his dream and Mia feels her play is a failure and she returns to her parents home. Gosling and Stone, while not possessing Broadway belt voices, both have pleasant singing styles very suited to the Hurwitz score. Their on screen chemistry is believable and their dance sequences together, while not at the same level as from of the golden age of movie musicals, are a treat. If you like musicals or just a pleasurable escape, that had me smiling throughout, then the film, La La Land is your movie. "But the Day is past. The Second* Day of July 1776, will be the most memorable Epocha, in the History of America.- I am apt to believe that it will be celebrated, by succeeding Generations, as the great anniversary Festival. It ought to be commemorated, as the Day of Deliverance by Solemn Acts of Devotion to God Almighty. It ought to be solemnized with Pomp and Parade, with Shews, Games, Sports, Guns, Bells, Bonfire and Illuminations from one End of this Continent to the other from this Time forward forever more." "You will think me transported with Enthusiasm but I am not. - I am well aware of the Toil and Blood and Treasure, that it will cost Us to maintain this Declaration, and support and defend these States. - Yet through all the Gloom I can see the Rays of ravishing Light and Glory. I can see that the End is more than worth all the Means. And that Posterity will tryumph in that Days Transaction, even altho We should rue it, which I trust in God We shall not." *When Adams wrote the letter on July 3rd he believed July 2nd, the day the Continental Congress passed the resolution on Independence, would be celebrated, but as we now know the public declaration was made on July 4th. NOTE: This was a copy of a letter sent to the Purdue Board of Trustees regarding their selection of Gov. Daniels as the next President of Purdue University. While not related to media/theater/performing arts, I thought was important to voice my concerns. I have recently read that the Purdue University Board of Trustees has essentially selected Governor Mitch Daniels to be its next president, pending the final public vote today. As a Purdue alumnus I am deeply disturbed by this selection. I have always been very proud of my Purdue education, receiving both my bachelor’s and master’s degrees from Purdue along with being a Lifetime Alumni Member. I have been active in support Purdue Calumet in many ways, a world class initiation in Northwest Indiana that is part of the Purdue system with nearly ten-thousand students. Working as an administrator in a school system, I have strongly encouraged many students to consider Purdue as one of the best choices for their post-secondary education. A Purdue degree has real meaning and worth in the world. I believe in moderate conservative fiscal principles in government. As Indiana’s chief executive, Gov. Daniels has successfully balanced the state budget – but he accomplished this on the backs of public school/municipal/county governments. His changing of the funding formula, where the state is largely supported by property taxes, and sales tax is used to support local government and schools has proved to be devastating to the operations of these local entities. The Indiana Department of Education re-distribution formula (where the state allocates how much money is given per student to a school district) takes money away from high achievement school systems and gives it to those districts that are struggling. For example, the Gary School Corporation receives over $8700 per student, where a district like Munster now only receives slightly over $4700. Munster, like many other high-performing, quality school systems, is facing major budget shortfalls that can now only be maintained by local referendums. If Munster had just the state average of about $5500 per student, there would be no serious fiscal issue. Major budget cuts have been already made by schools and local governments over the past several years to the detriment of the local communities in which they serve. Many schools are now facing the serious curtailing or elimination many athletic and extra-curricular programs, plus an increase of class size by the loss of teaching personnel. This is just one example, but many of the highest performing schools throughout the state are at the very bottom of the redistribution formula. Gov. Daniels has demonstrated, during his tenure as the state’s chief executive, a genuine antagonism to public education for both K-12 school, and institutions of higher education. The very thought that the Board of Trustees would entertain the notion, much less seriously consider Gov. Daniels as a suitable candidate for the position of president of Purdue is incomprehensible. I certainly am concerned that Gov. Daniels as Purdue’s president may seriously jeopardize the core functions and reputation of Purdue if he applies the same principles of governance to Purdue. I realize that Gov. Daniels brings a “Rolodex” of contacts that may seem appealing to the Board of Trustees, and his appearance on the national political stage would seemingly add prestige to Purdue. What we need is a president with a vision for the future of Purdue that is able to maintain the high standards and regard that the name of Purdue has come to mean – I believe Gov. Daniels fails to meet that high standard. I realize that this decision is probably at this point a fait accompli, with the public, media-covered vote this morning by the Board of Trustees. I wanted to personally voice my grave disappointment in such a choice and would hope that the Board of Trustees would seriously reconsider its decision. With the success and popularity of music based programs like Glee, or singing competitions like American Idol, X-Factor, and The Voice, NBC has added a new program to its mid-season line up about putting on a Broadway musical called, Smash. Inspired from an idea of Stephen Spielberg, who was looking to produce a series following the development and production of a musical for each season. If any of these proved “stage worthy,” Spielberg would actually go on to produce them on Broadway. Teamed with Robert Greenblatt, they approached NBC with the concept and brought in Theresa Rebeck to further develop, create, produce, and write the pilot and subsequent series episodes. The plot revolves around the creation of a musical around the life of Marilyn Monroe simply called Marilyn, The Musical. While a behind the scenes look on putting together a Broadway show is certainly not a new concept, the show has original songs from the musical team responsible for the Broadway hit, Hairspray, composer Marc Shaiman and lyricist Scott Wittman. Most of its original songs stem from the plot and its fictional writing team of lyricist Julia Houston (Debra Messing) and composer Tom Levitt (Christian Borle). Other popular music is covered to expand plot points in the story. The plot centers on an aspiring actress from Iowa, Karen (Katherine McPhee) in a preliminary audition for the title role with more experienced Ivy (Megan Hilty). Other archetypical characters include: Derek (Jack Davenport), the brilliant but often mean-spirited, womanizing director; Eileen (Anjelica Huston) the producer who is locked in a bitter divorce with her producer husband; plus significant others and how the process adds chaos to their non-theater lives with affairs and intrigue. The story is convincing to everyone but especially anyone connected with performing arts, and particularly musical theater. The staging and choreography by Joshua Bergasse is particularly compelling. A recurrent feature of the show is a staged song starting in the rehearsal hall, then segue ways to a fully staged version of it, finally returning to the original location. With only six episodes of the series run so far and decent ratings following NBC’s The Voice, it will be interesting to see how the drama will be sustained as the inner story musical comes closer to production. Both the outer story of the production, and the inner production of the actual Marilyn, The Musical both may have the potential to become actual Broadway fare. It will be interesting to see how this show develops, and if this series format will become a new way of trying out potential musical theater. If nothing else it has produced some very exciting musical numbers that certainly deserved to be staged. As a longtime listener to the BBC World Service, I was saddened to hear about more serious cutbacks to this operation brought about by the current economic situation, and long term changes in how this British broadcasting service is financed. Begun in 1932, the Empire Service used international shortwave broadcasting to reach Great Britain’s overseas empire connecting them to the homeland and “…to promote British culture and values.” It also had the effect of creating a world-wide broadcast presence. Over its 75 year run, the BBC World Service became and remains a respected, reliable source of international news and information. During World War II and the Cold War, the BBC became a dependable source to people in countries where state-controlled media blocked any other news source. Besides its English language service, the BBC World Service broadcasts in many different languages reaching many non-English speakers worldwide. Being a licensed radio ham, I began listening to the World Service over shortwave in the 1970s – probably more out of the adventure of getting news from oversees. It became a regular routine at bedtime to tune into one of the active shortwave frequencies. Listening on shortwave differs from local radio where a station does not stay on a single frequency all day, and as the conditions warrant (time of day, sunspot cycle, season, etc.) international broadcasters use a variety of frequency bands. The signal may come in strong on one evening and weak the next with fading and interference common. This is a challenge that many people would not regularly endure in our channelized domestic broadcasting services. Later with overseas cable and satellite links, the World Service like many other international broadcasters commonly used shortwave relay stations located in the Caribbean for the Americas and other locations to ensure a strong shortwave signal. The various news programs that are my favorite include Newshour, World Update, The World Today, World Briefing, plus various focused topical or regional reports. Also documentaries make up a large portion of the programming that I enjoy. With sports, arts, culture, business, call-in programs, and much more, the World Service is without question the premier international broadcasting service. Hearing Big Ben chime at the top of the hour, and the original march theme music, Lilliburlero, (only now occasionally heard) was always a reassuring sound. One of my favorite programs was Alistair Cooke’s weekly contribution, “Letter from America.” He is probably best known to American audiences as the presenter for the PBS television series Masterpiece Theatre. Cooke commented about a variety of topical subjects in the United States and the Americas in this 15 minute program. It was heard on both the BBC-4 (home service) and the World Service beginning in 1946 with 2869 shows until his death in 2004. It is the longest running speech radio program in history. Cooke actually began his work in America in 1936 eventually also becoming a citizen. His perspective of being a British expatriate in America writing to his British homeland about events in the states also had a worldwide appeal. Its appeal to me was to gain perspective on America from a foreign perspective. How the World Service is now delivered to audiences has changed dramatically. While shortwave broadcasts still exist, they have been dramatically cut especially to industrialized countries. Portions of the World Service have been picked up Public Radio stations and now with satellite radio they carry the entire programming schedule on a dedicated channel. Streaming on the internet began in 1999 and is now probably how most people including myself listen to the World Service. Changes in world media with 24-hour cable news like CNN, MSNBC and other international services have encroached on the World Service’s audience. The internet as a media source including podcasting (which the world Service also does) has altered the media landscape. The BBC World News is the television extension of the meant to compete with CNN International and is not funded by government or fees but supported by advertising. Most British broadcast services are funded by a fee charged to all British households. However, the World Service is funded by the British Foreign Office which has faced on going cutbacks. In 2005 the BBC began cutting several of its foreign language service mostly to areas now served by other media sources. In 2011 an additional 25% cutback is planned. How this will impact the World Service will be in the arts, music and drama programs. Whether the World Service could copy its Television counterpart, The BBC World News, by using advertising, or maybe asking for voluntary contributions in a PBS/NPR fashion, or some other revenue source outside of government or the Foreign Office remains to be seen. The BBC World Service despite the cutbacks remains an important international source of news and information. If you have never listened to it give it a try – you may be pleasantly surprised. I have to confess that I own all seven seasons of the political drama The West Wing. Along with my bride, I believe we have watched to entire run on this show probably six or more times. I discovered the series in its second season and it was a “don’t miss” event from that point on. The creative force behind The West Wing was screenwriter/producer Aaron Sorkin. Sorkin’s major breakthrough was as the playwright for A Few Good Men in 1989, which began Off-Broadway and eventually moved onto Broadway. He was working a bartender and wrote notes on bar napkins, then would transcribe these onto a Macintosh computer after work. He sold the film rights even before the play opened. Sorkin went on to adapt his play into a screenplay, learning as he went along about writing in screenplay format. The 1992 film version directed by Rob Reiner was a box office hit. Sorkin’s next screenplay was a medical drama Malice that received only mixed reviews. His next project would eventually lead to the development of The West Wing. The American President was a behind the scenes look at a widowed president with a teenaged daughter, and his romantic involvement with a female lobbyist. He gathered a great deal of background material from behind the scenes of the Clinton White House staff for the film project. While working on The American President screenplay, Sorkin would watch ESPN’s SportsCenter and began working a screenplay about doing a sports show. Not finding a solid plotline, he reformatted the idea into a television comedy that became the ABC show Sports Night. This brought him into an important collaboration with television producer/director Thomas Schlamme. Together they refined a technique called the “Walk and Talk” where the actors do a continuous scene while walking to another location using Sorkin’s rapid-fire dialog that was becoming a trademark of his writing. Schlamme had first explored this technique on some of his other directing assignments with Ally McBeal, Boston Public, and ER. Sports Night was critically acclaimed but failed to find an audience that ABC/Disney wanted and it was cancelled after a two season run. Offers were made by other networks to pick-up the option on the show, but Sorkin and Schalmme were already in development of their next project. The development of a behind-the-scenes program about the day to day workings of the White House’s West Wing operations. It was originally to be centered on the character, Sam Seaborn, the Deputy Communications Director and speechwriter, to be played by Rob Lowe as the star of the series. The role of the president in the original concept was to be unseen or only appear in a secondary role. Martin Sheen, who played the Chief of Staff in The American President, was tagged to play President Josiah “Jed” Bartlet. The series aired September 1999 and received critical acclaim. With a strong supporting cast, the series storylines migrated away from being centered on the Seaborn character and becoming much more an ensemble piece. The role of President Bartlet became much more central to the series serving as a father figure. As the focus of the series changed, Rob Lowe decided to leave the series at the end of season four and was written out with a failed run for congress. He returned at the end of the series to serve as Deputy Chief of Staff in the new administration. Several of the characters were based or composites of actual White House staffers. Josh Lyman (Bradley Whitford), Deputy Chief-of Staff character is openly acknowledged to by based on Raum Emanuel, the Clinton administration Deputy Chief-of Staff. C. J. Cregg (Allison Janey) has characteristics of Dee Dee Myers, as the Press Secretary. The prickly Communications Director Toby Ziegler (Richard Schiff) had no real equivalent but often served as the strong idealistic liberal voice for ideas. Chief of Staff Leo McGarry (John Spenser) was the force that got then Governor Bartlet to run for the presidency, and is the other father figure to the senior staff. Sorkin and Schlamme stayed with the series for its first four seasons firmly establishing the series concept and characters. John Wells continued as the sole executive producer with Schlmame serving as consultant. WhatThe West Wing accomplishes is a realistic, albeit somewhat optimistic view of the behind the White House operation. In many ways it was a revisionist view of the Clinton presidency with a republican majority in congress, however with President Bartlet being a strong moral, family man and a reluctant yet strong leader. The series balances opposition views by using various strong characters to represent these viewpoints. Many conservatives called the series “The Left Wing” because of its unabashed liberal viewpoint. The series succeeded in touching on actual political issues. In some cases it dealt with real issues in the concept of the series, or paralleled these issues by using fictional countries or situations to simulate these current events. Probably a couple of episode scenarios that would have seriously crippled a presidency or individuals are resolved without a major congressional investigation or limited consequences. In the real world the opposition party would “go for the throat” on any of these issues. Another plot point is in season six, when Leo McGarry had a heart attack, with his replacement for Chief of Staff being C. J. Cregg. It would be highly unlikely that the press secretary would move into this position, especially with other highly qualified senior staffers. Amazingly, The West Wing over its seven season run had very few continuity problems. The back stories and series history rarely conflicted with previous episodes. The later part of season six and all of season seven also focused on the election that would replace Bartlet. In and interesting storyline; a largely unknown minority congressman from Texas is convinced by Josh Lyman to run for president. Matt Santos (Jimmy Smits), with a Hispanic heritage, certainly portends actual events in 2005-2006 when Barrak Obama actually runs for president in 2008. Republican candidate Arnie Vinik (Alan Alda), in many ways has a background like John McCain. Lyman becomes Santos’s Chief of Staff, with the real world parallel of Raum Emanuel becoming the President Obama Chief of Staff. The West Wing many times integrated the actor’s personal history into their character’s story. The most poignant example is that of John Spencer, who played Chief of Staff Leo McGarry. Spencer in real life was a recovering alcoholic with heart problems. This became a story arc when his character was testifying before congress and his alcoholism and prescription drug abuse in the past was about to be revealed. At the beginning of season six, McGarry disagrees with the President’s Middle East peace process. McGarry shortly thereafter suffers a near fatal heart-attack vividly portrayed on the screen. He eventually recovers and returns as an adviser to Bartlet. Later in season six, he becomes the Vice-Presidential running mate to Matt Santos. In an irony that is almost astonishing, John Spencer suffers a fatal heart attack on December 16, 2005 in the midst of season seven. Having already completed several episodes, series producers continue the story line with poignant and ironic references to McGarry’s health issues (many times by Spencer himself) prior to his actual heart attack in December. The series has Martin Sheen acknowledge his passing prior to an episode airing in January. On election night in the series before the polls have closed, McGarry is discovered by his aide Annabeth Schott (Kristen Chenoweth) collapsed in his room and soon after pronounced dead. It is obvious from this episode that his fellow actors portrayed the real emotion of loss of Spencer/McGarry. At Spencer’s funeral, Chenoweth sang “With You” from Wicked. Another influence Spencer’s passing had on the story line is the producers had planned on having the Republican Arnold Vinick (Alan Alda) winning the election. They changed it to a narrow Santos victory. In a back story, Leo had given Bartlet a paper napkin written “Bartlet for President" in a bid to get him to run. Later it reappears when Leo is undergoing congressional hearings and Bartlet presents back to Leo framed telling him “…that was an awfully nice thing you did.” In a final scene of the last episode as President Bartlet is departing on Air Force One leaving office, he opens his brief case, and Leo’s daughter returns the framed napkin in the final moments as the plane flies off. With The West Wing behind him, Sorkin’s next venture was another behind the scene look at the production of a sketch comedy “Saturday Night Live” type show. Teamed once again with Schalmme, Studio 60 on Sunset Strip was in many ways an autobiographic look at both Sorkin and Schalmme in a fictional setting. The series only ran a single season, but is well worth watching. Probably the “drama” of putting together a comedy show is less compelling than the major national and international issues dealt with in The West Wing. NBC debuted both Studio 60 and 30 Rock (a half-hour comedy based on the same premise), that went on to a multi season run. Sorkin’s current project is already a successful play, The Farnsworth Invention. He is currently developing several projects one of which he plans to make his feature film directing debut. His view of the White House and the function of government is an interesting in a dramatic and very enjoyable television experience as is his look behind the production of a sports show of sketch comedy show. Long holding an interest in American history especially the events surrounding and leading to American Independence, I was completely taken with the musical 1776 when I first saw it in a local production many years ago. Conceived by Sherman Edwards who wrote the score (music and lyrics) and a book by Peter Stone, it is a musical set in Philadelphia during revolutionary America (May through July 1776). The story centers on Massachusetts delegate to the Second Continental Congress, John Adams, and his drive to separate from Great Britain leading up to the actual Declaration of Independence. While loosely based on the actual events, 1776 does take dramatic license with the facts. The Adams portrayed in the musical is a bit of a composite of John Adams with his more activist cousin, Samuel Adams, who also was a delegate to Congress. It opened on Broadway in 1969 winning a Tony for Best Musical and two others for Featured Actor and Actress awards. William Daniels made a dynamic portrayal of Adams. Daniels, in an effort to be fair about the Tony Award process, should have been entered in the Best Lead Actor category, but he felt his role was not the lead, which most certainly cost him a Tony Award in the Lead Actor category. The historical characters were not portrayed as stuffy, god-like, two-dimensional figures, but with a 20th Century vitality to which a modern audience could relate to as real people. The 1972 motion picture version with most of the stage cast in place captured much of the same verve on the big screen. The history of our Revolution will be one continued lie from one end to the other. The essence of the whole will be that Dr. Franklin's electrical rod smote the earth and out sprang General Washington. That Franklin electrified him with his rod - and thenceforward these two conducted all the policies, negotiations, legislatures, and war. While the Adams family legacy is truly an American story, it really did not become well known to the general public until the mid-20th Century. 1776 and later the PBS series The Adams Chronicles based on the historical book began to shed some light on Adams heritage. David McCullough’s book John Adams which also was made into a popular HBO historical mini-series did much more to reveal the historical Adams. Now there is much out there about John and Abigail Adams. The sheer volume of correspondence between John and Abigail Adams reveal so much about their relationship, but also about their insights into the historical events to which they were witness. Adams was a visionary about the future of our country best revealed in a letter dated July 3, 1776 from Adams to his beloved wife Abigail, he wrote: *the final vote occurred on the Second of July but the actual public declaration was made on the Fourth. "But the Day is past. 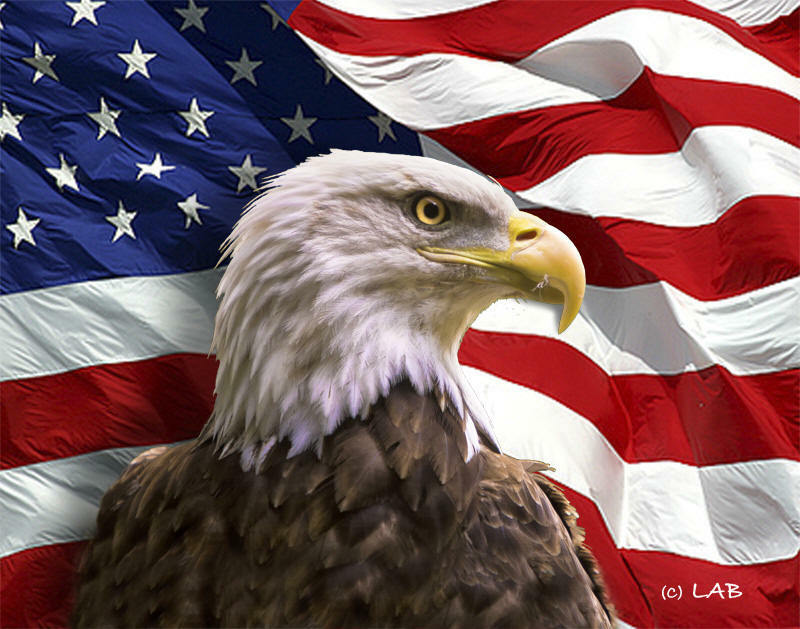 The Second* Day of July 1776, will be the most memorable Epocha, in the History of America.- I am apt to believe that it will be celebrated, by succeeding Generations, as the great anniversary Festival. It ought to be commemorated, as the Day of Deliverance by Solemn Acts of Devotion to God Almighty. It ought to be solemnized with Pomp and Parade, with Shews, Games, Sports, Guns, Bells, Bonfire and Illuminations from one End of this Continent to the other from this Time forward forever more. You will think me transported with Enthusiasm but I am not. - I am well aware of the Toil and Blood and Treasure, that it will cost Us to maintain this Declaration, and support and defend these States. - Yet through all the Gloom I can see the Rays of ravishing Light and Glory. I can see that the End is more than worth all the Means. And that Posterity will tryumph in that Days Transaction, even altho We should rue it, which I trust in God We shall not." Every July 4th, I reflect on this letter and how it has come to pass – even the vision of the actual 4th of July celebrations. What a vision of the future, from our small colonial status facing Great Britain, then one of the mightiest nations in the late 18th Century, to our place in the world as a super power. But I do not think Adams would be surprised by this at all. In a final irony of our American story, two of the men most responsible for the Declaration, Adams and Jefferson, were to die with hours of each other on July 4th, 1826, the 50th anniversary of the Declaration. If you put that circumstance in a drama, no one would believe it to be true. But it was. The point? Even musicals can teach a history that is interesting - at least for me. Thanks John for American Independence. Composer and Lyricist Stephen Sondheim turned 80 on March 22nd this year. His influence on the development of musical theater is unmistakable – celebrated by many, and reviled by some. Sondheim was a front row witness to the Golden Age of Broadway (1940s-1960s) and the height of the narrative musical theater form as defined by the works of Rodgers and Hammerstein and others. He became friends with Jimmy Hammerstein, son of Oscar Hammerstein II, often staying at their country summer home. Young Sondheim’s talent was readily apparent to the elder Hammerstein and he took him under his wing. He apprenticed in the R&H production office learning not only the art but the business of show business. Hammerstein actually gave his young charge assignments to adapt literary works in to musicals. His first big break came when the production West Side Story was in need of a lyricist to assist composer Leonard Bernstein. Wanting to write both music and lyrics, Sondheim was reluctant to accept but Hammerstein persuaded him it would provide a great career opportunity working with Bernstein, Jerome Robbins, and Arthur Laurents. Bernstein was busy fixing his other musical Candide and the young Sondheim wrote all the lyrics. It was rumored that he fixed and even wrote portions of the score. The success of WSS led to another lyricist opportunity on Gypsy. Sondheim teamed again with Arthur Laurents this time with composer Jule Styne. Like West Side Story, he found himself in the unusual position of rewriting the score. Finally writing both music and lyrics for A Funny Thing Happened on the Way to the Forum, he had three hit shows to his credit. That would end with Anyone Can Whistle in 1964 a box office flop. Also he teamed with Laurents and Richard Rodgers (long time partner of Hammerstein who had passed away) on Do I Hear a Waltz? With Sondheim as lyricist, Rodgers proved to be difficult for both Sondheim and Laurents who was uncomfortable and suspicious of them. These early musical theater projects were firmly established in the narrative musical form. That was to change when Sondheim teamed with another Producer/Director, Hal Prince, in 1970 on a completely different kind of musical. The concept musical as it is sometimes called dispensed with the plot and centers on characters and themes. Songs were inserted to comment on the action, characters, situations, or introspections. Early examples for this form were Allegro, The Fantasticks, Hair, and Jesus Christ Superstar. Company (1970) marked Sondheim’s journey away from the narrative musical form. Sondheim, along with Prince and other practitioners of this form were departing from the narrative form, where songs and dance emerge from the text of the story. It is ironic that Sondheim, the protégé of Hammerstein and the virtual founder of the narrative musical form, would spend his life’s work consciously deconstructing the dramatic form of his mentor. Sondheim along with Andrew Lloyd Webber moved musicals toward a more “sung-through” form. These musicals had a more operatic sound and the balance was weighted toward the music and lyrics and away from dialog. Sondheim’s use of polyphonic voices with multiple overlapping singers, like found in opera, is a trademark of his later work. He partnership with Hall Prince continued with the shows: Follies (1971), A Little Night Music (1973), Pacific Overtures (1976), Sweeney Todd (1979), and ended with for a time with the Broadway flop Merrily We Roll Along (1981). A Little Night Music and Sweeney Todd are most notably Sondheim’s most “operatic” scores and have in fact been performed by opera companies. Prince were to reunite in 2003 to the reworked and re-titled show Wise Guys then called Bounce then called Road Show in a new version in 2008. Teaming with James Lapine, Sondheim went on to create a unique musical based on the Georges Seurat painting about the creation of art call Sunday In The Park with George (1984), which won a Pulitzer Prize for Lapine and Sondheim. They went on to take a darker look at fairy tales with Into The Woods (1987). Their later collaboration on Passion (1994) met with less success. Sondheim’s Assassins first opened in 1990 Off-Broadway based on the unusual concept of various assassins, successful and otherwise, of American Presidents. It made it Broadway Debut in 2004 wining four Tony Awards. Sondheim has been one of the pioneers in the development of concept musical form. Sondheim shows have almost become a genre onto their own within the larger musical theater repertory. Winning of numerous Tony Awards, an Academy Award and Grammy Awards, his musical appeal to a sophisticated audience and is often heard in revues or by nightclub singers. Many others find his music difficult and wordy. “Send in the Clowns” was his only top-40 hit. While many of his later offerings were not large commercial successes, this does not seem to bother Sondheim, whose music has left an indelible impression on the sound and form of the Broadway musical. Sondheim music did not produce many pop hits but did produce theatrical show tunes that are loved by sophisticated theater audiences. Whether you love him or hate, there is no denying his place and influence on musical theater. Happy Birthday Stephen. The Midwest radio icon WGN-AM Radio 720 has long reached audiences in an older demographic. Its popular news/talk format has for over 85 years has been a mainstay of Chicago radio listeners. It is owned by the Tribune Broadcasting, which is still recovering for reorganization under bankruptcy. The station has made management changes which have come to audiences in changes in the on-air personalities claimed to appeal to a younger "hipper" demographic. Broadcast radio survives by narrowcasting to very specific audiences with their programming. Syndicated automated music stations are becoming more prevalent due to their low operating costs. What is lost with these stations is that localism these stations and their on-air personalities bring to their market. Everyone understands that broadcasting is a business and is in an ever competitive market has to make money. Higher ratings translate in to greater value for the on-air advertising. Randy Michaels (formally of Clear-Channel and current Tribune CEO), along with Tom Langmyer, WGN-AM vice president and general manager and WGN-AM Radio Program Director Kevin Metheny are making dramatic changes to the WGN-AM format. Arbitron, the rating service for radio, has shown some growth as a result of some of these changes. However this growth may represent only single rating point or so. The Kathy and Judy Show, a long mainstay of the WGN lineup, was suddenly taken off the air in May 2009. They both had one more year on their contract and the logical course would seem to have been to let them retire in May 2010. Longtime afternoon drive time host John Williams had moved to the early morning slot with the retirement of Spike O'Dell in 2008. San Francisco based Greg Jarrett was abruptly brought in last year bumping John into the now vacant Kathy and Judy Show slot. Bob Sirott was anchoring the one hour Noon Show was let go from that show retaining his Sunday Evening show for the present. John Williams show was extended through 1pm to cover that change. Williams is also hosting an afternoon radio show from the Tribune studios in Chicago for CBS Radio owned WCCO-AM in Minneapolis from 1-3pm. If he gets replaced, he has an established gig which for WGN would make his removal less distasteful - not so much so for his listeners. Some of the changes have included the somewhat abrupt firing of longtime show producers. News Director Wes Bleed is gone and Sports Central running from weeknights 7-9pm was hosted by Dave Kaplan and formally with Jim Memolo is gone. It is replaced by recent fill in host now with his own show, James Laski. Laski was Chicago City Clerk until his federal conviction for bribery. His edgy confrontation style is far from the friendly talk format that WGN radio has long enjoyed. Garry Meir, long time WLS-AM Radio 890 personality, landed the early afternoon shift until recently bumping Steve Cochran out of the evening drive time slot. Cochran's contract extension expires at the end of June and it looks likely he will be gone. 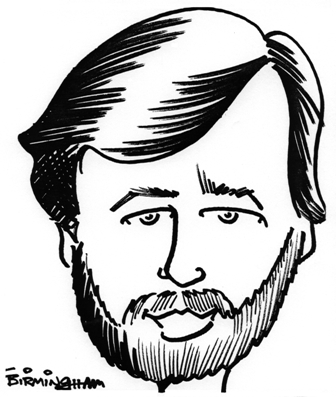 Clear-Channel’s WLW-Radio (Cincinnati) Mike McConnell & Bill Cunningham were to arrive in August into a “yet to be announced time slot,” but as for Cunningham that seems not to be happening after all with him resigning with WLW. While Cubs baseball, Blackhawks, and Northwestern University sports remain a major part of the WGN line-up, with new (non-Tribune) owners at the Cubs organization, how long before they go shopping for another station to carry their radio broadcast coverage? Over the years I have become more of a Pat and Ron fan (Pat Hughes / Ron Santo) than a Cubs fan. I enjoy their banter while listening to a baseball game. It is relaxing and may be one of the only things that will have me tuning into 720 if changes do take place. Many longtime listeners are migrating away from WGN. I regularly tune out when Meier or Laski are on the air. If the departure of Williams and Cochran occur, my daytime listening of WGN-AM will probably come to an end. I confess to have already listened to Williams over the internet on his WCCO-AM show when Laksi was filling in for Cochran in the afternoon. Will WGN-AM changes successfully compete with the edgy WLS-AM format? And where will the WGN-AM faithful radio listeners tune to on the dial? NPR? Michaels, Langmyer and Methany may believe they are doing what is best for the business of Tribune Broadcasting, but if they completely dismantle this Chicago jewel and the new format fails, can the radio listeners of Chicago ever be recaptured with so many other non-broadcast options available on cell phones, internet, podcasts and other new media? 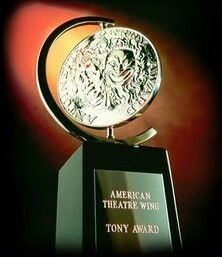 Sunday night Broadway celebrated its own with the 64th American Theatre Wing’s Antoinette Perry “Tony Awards”. In years past these were fairly dull affairs compared to the Oscars or Grammy awards, presented as a fairly low tech awards show. In recent years however the Tony Awards have become one of the slickest awards shows, as well it should, and last night was certainly an example of this trend rivaling their more viewed counterparts. Only a few awkward moments occurred when the cut-off music came in a bit early especially during the final acceptance speeches from the many producers of Memphis. Sean Hayes reluctantly moved to introduce the final musical number closing out the ceremony so the show would not intrude too far past the 11pm EDT/ 10pm CDT local news programming starting time. Sean Hayes (of Will & Grace fame and currently appearing in the musical revival of Promises, Promises) hosted the show with slick self-effacing moments appearing as Spiderman, Annie, and in a bulging dance belt as well as part of the opening musical number. Hayes carried off the emcee duties with energy and charm, appearing with his currently co-star Broadway veteran Kristin Chenoweth for and extended stage kiss and later in a humorous bit where Chenoweth begins her acceptance speech notwithstanding the fact that she was not nominated this year. Broadway Veterans Nathan Lane along with The Addams Family co-star, Bebe Newirth appeared as presenters joking about their musical being almost completely passed over for all but two nominations, Best Original Score and Best Featured Actor (Kevin Chamberlin as Uncle Fester). Many Broadway actors are not as well known or visible to national audiences as their film and television counterparts, but increasingly more of or these actors are making Broadway debuts. Denzel Washington took a Best Leading Actor in a Play Tony for his debut portrayal in the revival of Fences (his co-star Viola Davis also won Best Leading Actress). Scarlett Johansson also in her Broadway debut in Arthur Miller’s A View from the Bridge won as Featured Actress. Catherine Zeta-Jones took the Best Leading Actress as Desiree in the Sondheim/Wheeler musical revival of A Little Night Music in her Broadway debut. While crossover acting is not new to Broadway, it is interesting to see more film and television actors making the move. Kelsey Grammer, currently in a La Cage aux Folles revival, his television co-star David Hyde Pierce (Spamalot and Curtains for which he won a 2007 Tony) who was honored with the Isabelle Stevenson award for his work with Alzheimer’s. The current “Grande Dame” of the Broadway, Angela Lansbury, a five-time Tony award winner and currently appearing in A Little Night Music was also honored as the first Honorary Chair of the American Theatre Wing is familiar to television and film audiences. Will and Jada Pinkett Smith are busy producing both film and stage projects. Current box office film hit with the remake of The Karate Kid, starring their son Jaden, and the musical, Fela! based on the life and music of Nigerian musician Fela Kuti and his Afro-beat rhythms. For a non-theater audience, especially outside of New York, Broadway lacks the national appeal of the Oscar, Emmy and Grammy Awards which makes a difficult sell to a television audience, especially in its early June time slot. Nevertheless, for those of us who follow theater, the Tony Awards portend for trends that will reach us outside of the Big Apple. New Broadway musicals have for sometime been undergoing changes that were certainly reflected in this year’s Tony Awards. For sometime “jukebox” musicals that showcase the music of a notable group or artist, or group of artists seem to increasingly dominate Broadway theaters. Shows like Mamma Mia, featuring the music of Swedish pop sensation ABBA, were based around a loose story or more recently The Jersey Boys about Frankie Valli and the Four Seasons, or Movin’ Out with music of Billy Joel. These musicals are built around the music of the artist(s), sometimes have a loose concept or entirely dispense with any semblance of the narrative story form, are becoming ever more popular. In many ways they are closer to a live concert than what has been thought of a traditional Broadway musical. Their obvious appeal is a reliance on the popularity of the music packaged with slick staging and choreography, many times featuring unknowns in the roles or providing a star vehicle in a cameo for an added attraction. This is not new to Broadway, but pre date the narrative musical form where a collection of songs was cobbled into a show sometimes by adding a loose story (a “book” show) or just a revue of songs and acts. New book and concept musicals were represented this season by The Addams Family, Enron, and while technically a book show, Memphis, which won Best Music and Best score by long time Bon Jovi keyboardist, David Bryan. Revivals were still present in the Tony line up with Promises Promises, Ragtime, La Cage aux Folles, A Little Night Music, and surprisingly Finian’s Rainbow. Other revivals not nominated where Disney’s Beauty and the Beast, Hair, and Bye Bye Birdie. Of course The Lion King, Wicked, Mamma Mia!, Billy Elliot, Mary Poppins, South Pacific, West Side Story, Chicago, Phantom of the Opera, and In The Heights are among the musicals continuing to run. In the upcoming season, the popular Marvel comic book character will appear in the musical Spider-man, Turn Off the Dark, Unchain My Heart based on the music of Ray Charles, and The Book of Mormon from the creators of television’s South Park are part of the new wave of musicals. Revivals of Annie, How to Succeed in Business… featuring Harry Porter star Daniel Radcliffe, Zorba featuring Antonio Banderas in the title role, and Evita will round out the season. I’ve been hearing about Broadway disappearing ever since I put on long pants. The form changes, and that’s difficult for a lot of people to accept. seriously in another fifty years. It changes and you roll with the punches. The musical Wicked is new twist on the popular L. Frank Baum’s mythic American fairytale, The Wonderful Wizard of Oz. First published in 1900, it was part of a whole series of fourteen books about the Land of Oz. Best known when it was adapted into the 1939 M-G-M motion picture, The Wizard of Oz, which has developed a virtual cult following, itself becoming an iconic fable firmly planted in American culture. In the film version, the main story about being in Oz occurs as part of a Technicolor dream that Dorothy has, after being injured during a tornado. In Wicked, Dorothy’s eventual, though incidental pivotal involvement, is only related as an implied back story plot element. She is never actually seen on stage. Wicked is an adaptation of the Gregory Maguire novel by the same name, with the show’s book by Winnie Holzman. It challenges the accepted story by exploring many hidden and broader aspects of Oz before the arrival of Dorothy. The musical departs in several ways from the novel, effectively condensing or omitting many of the novel’s plot details, while retaining the fundamental theme of the story. The surprise conclusion is probably the greatest departure the musical version has from the novel. Similar in concept to Stephen Sondheim’s musical, Into the Woods, that takes a well known fable, and by reworking the plot elements showing the consequences of the characters’ behavior, it reveals a different and deeper perspective thus adding dramatic action. The protagonist is Elphaba, a green skinned girl born as a result of an illicit tryst between her mother and a mysterious stranger, drinking a strange green elixir, while her husband, the Governor of Munchkinland is away. Elphaba’s green appearance repulses her Governor “father,” and she is a mistreated by her family and a social outcast. The story picks up years later when Ga-linda, a supporting protagonist, arrives in style at the Shiz (“Old Shiz”), a college for the citizens of Oz. Elphaba arrives with her wheel-chair bound younger sister, Nessarose. The other students are repulsed by Elphaba, treating her as an outcast. She is sent there by her Governor father mostly to take care of her sister. Madame Morrible sensing an opportunity decides to take Nessarose into her personal care to gain favor with the Governor. As a result, the widely different Ga-linda and Elphaba are compelled to become roommates. Elphaba during a commotion accidentally demonstrates some of her untrained magical powers, and Morrible decides to personally tutor her and gain insight into her magical abilities. Resigned to their fate as roommates, Ga-linda seeks to transform her dower companion into a more social being during her campy song, “Popular.” Despite their vast differences, they become friends. They visit the Emerald City at the invitation of The Wizard who wishes to meet Elphaba, to exploit her magical powers that have been revealed to him by Madame Morrible, now his Press Secretary. Glinda (as she is now known) is declared the Good Witch of the North by Morrible for the Wizard. Fiyero, now her fiancée, is not happy with the events and eventually goes off the find Elphaba, his true love. After the death of her father, Nesserose becomes the bitter and unhappy governor of Munchkinland, with Boq virtually her bond-servant. Wicked endeavors to explain how familiar situations and characters actually came into being (The magic “ruby” slippers, Flying Monkeys, Tin Man, Scarecrow, Cowardly Lion, and the demise of her sister by a falling house during a tornado bearing a creature called Dorothy) and how their various circumstances were blamed on Elphaba, despite her desire to do good. She realizes the wizard is a powerless fraud. He defends his charade in OZ telling her, “Elphaba, where I'm from, we believe all sorts of things that aren't true. We call it - ‘History’." Thematically, Wicked explores simple prejudice against marginalized beings in both the personal plight of Elphaba, and in the larger overt persecution of the sentient animals of Oz like, Dr. Dillamond (the goat professor at Shiz). The matter of social acceptance and rejection within families and in the larger community is demonstrated in the plight of these characters. With overtones of moral pessimism about the nature of good versus evil, Wicked not only questions the substance of truth, by asking what is actually true and what is believed to be true on face value. It also attempts to demonstrate the corrupting nature of power and how absolute rulers or governments can determine what is perceived by the masses as good or evil, real or illusion. The juxtaposition of the plot’s many tragic ironies like: the childless Wizard’s relationship to Elphaba, revealed as his illegitimate daughter, the irreversibility magic spells cast, meeting and fulfilling the expectation of others despite the character’s intrinsic nature, and how deception, even if not true, may believed by the masses. All these point coalesce into a cynical satire of Oz and by extension to our own world. Finally, central to this musical’s premise is the resilience of love, friendship, loyalty and hope, despite the betrayal of these due to the stresses of the surrounding circumstances and self-interest. Spectacle has become the expectation for these large scale corporate musicals, and Wicked is no different delivering a breathtaking visual treat. The action is virtually continuous with scene changes generally blending seamlessly into the each other. Composer Stephen Schwartz interest in tackling conceptual projects like Wicked is well known: Pippin, Godspell, Working, The Magic Show, Children of Eden and others are among these types of projects. His score for Wicked is stylistically different from offerings found earlier in his career. Both Godspell and Pippin used a mix of musical styles in their scores, which became an early trademark of the composer. Much of his music can be both energetic and introspective. 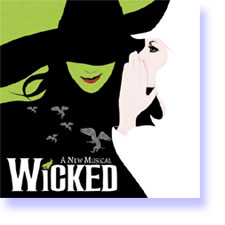 In Wicked, Schwartz’s music follows more of a singular thematic form. In some ways the show leans toward a more “sung-through song” form, along the lines of Sondheim, where much of the story is told in the music, and less in the dialog. Though not nearly as dark as later Sondheim scores or as operatically styled as a Webber score, Wicked has elements of both present representing a significant departure from his earlier works, which are greatly enhanced with sweeping orchestrations by William David Brohn. Ana Gasteyer, best known to national audiences for her six season stint on Saturday Night Live as an improvisational styled comedienne, plays the green-skinned Elphaba. She delivers a very strong vocal and acting presence in the role of the distressed woman who becomes known to the denizens of Oz as the Wicked Witch of the West. It is an impressive effort, deserving of this dynamic yet self-effacing character that is on par with the performance of the original Broadway cast by Idina Menzel. Balanced by an equally stunning performance with her rendition of Glinda was given by co star, Kate Reinders. Careful not to just copy Broadway’s original Glinda, Kristin Chenoweth’s interpretation, but capturing the essence of the character, Reinders brings a her considerable vocal and acting talents to the role of conflicted, reluctant socialite friend of Elphaba. In a one week guest appearance, the current Broadway Wizard of Oz, Ben Vereen, appeared in the production. Consistent with character’s original Wizard, Joel Grey, Vereen brings into the role his own uniquely styled presentation, showing that the 59 year-old Broadway veteran still has the moves. This is sort of a reunion with Schwartz, first appearing as the enigmatic Leading Player in the original Broadway version (and several touring versions) of Pippin. Though only a supporting role in the show, seeing the venerable Vereen on the boards again is inspiring for long-time theater fans. Strong Broadway-level performances by Telly Leung as Boq, Kristoffer Cusick as Fiyero, Heidi Kettering as Nessarose, Rondi Reed as Madame Morrible, supported by an outstanding and energetic cast round out the production. The set is creatively styled based on various clockwork mechanisms. With a proscenium fashioned on the same theme, suggesting a large clock housing that frames the stage action, with a large ornamental dragon over hanging the arch which punctuates the on stage action by moving at several times during the show. Many of the sets use simple track or roll on units only suggesting the scene are effective while keeping the scene changes to a minimum. Lighting is creative thematically suggesting the clock metaphor. Using a Broadway Jewel-styled design, plus the use of image projections and computer controlled lights are evident, but not overwhelming always supporting the story. Many times shows over use technology causing them to become light shows. Costumes suggest a darker view of Oz sometimes reminiscent of Dickens’ characters. Glinda, the blond socialite, glamour girl, is the exception who always is featured in bright or pastel colors in contrast to the other characters. The key elements of Elphaba’s costume are drab earth tones gradually building as the story unfolds toward the classic pointed hat, caped, all black witch attire. One partially unresolved plot point is the question of how the animals of Oz, like Doctor Dillamond, were losing their power of speech. While as a plot point it served to create a group of “enemies” giving the people of Oz something to fear, thus serving to adding to the political power of the Wizard and Madame Morrible, Morrible seemed to have very limited magical powers.